FIGURES OBTAINED FROM from the Health Service Executive (HSE) by TheJournal.ie shows that on 1 January 2013 over 63,126 were eligible for a discretionary medical card. In April 2014, of that group of people who were deemed eligible under a discretionary assessment process, just 46,535 had a discretionary medical card. In 14 months the number of discretionary medical cards awarded to those in January 2013 fell by over 16,591. The figures show that in January 2013, in total, over 78,959 people had eligibility for discretionary cards – including GP and medical cards. Of these people, over 15,833 people were given GP visit cards. However, fast forward to April 2014, and the number of people with GP cards has decreased to 15,036. The HSE states that of those that were eligible for a discretionary cards – both GP and medical – in January 2013 (78,959), only 78 per cent (61,571) of those people were deemed eligible in April 2014. This means that of those that had discretionary cards in January 2013, 22 per cent are deemed no longer eligible by the HSE for any card – GP or medical. Of this 78 per cent – the breakdown is that 15,036 were able to get GP Visit Cards eligibility, while 46,535 were eligible for discretionary medical cards. The Department of Health said that the latest figures as of April 2014, shows that there were 1,799,103 medical cards in total. The HSE said in a statement to TheJournal.ie that “it is important to stress that the medical card system is based on The Health Act 1970 which provides for medical cards on the basis of means. The HSE must operate within the legal parameters of the scheme and within these every effort is made to ensure that the system responds to the variety of circumstances and complexities faced by individuals who apply for a medical card”. Last week, a campaign called Our Children’s Health was launched calling on the government to amend the Health Act of 1970 so that any child diagnosed with a serious illness or congenital condition is automatically entitled to a full medical card. In five days, over 50,000 people have signed their petition. The HSE clarified that a discretionary medical card can be given if a person’s income is over the threshold, “if the circumstances are such that a person cannot access GP or other medical services, without undue financial hardship”. … a medical card is based on an assessment of financial means, and that these can change, the HSE conducts reviews of medical card eligibility.If a person has been refused a medical card and is not satisfied with the decision, they may have the application reassessed. Circumstances may have changed, or they may have left out some relevant information from the original application.If following this reassessment an applicant is still not satisfied they may make an appeal to the Appeals Office of the relevant HSE Area. 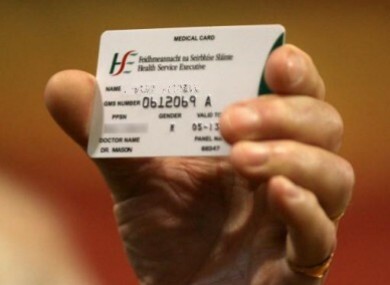 The HSE said that “most” medical cards are awarded for three years following eligibility assessment. When a renewal of a card is sought the HSE said that “it does not mean that proof is required for what are life-long conditions but it does include an update on medical treatment that may be underway and that may be incurring costs for the family”. They added that review of medical cards, where there is a long term medical condition, are carried out in “good faith” and any questions in relation to up to date medical circumstances are “intended only to assist the applicant by capturing all relevant information that would give rise to undue financial hardship occurring to provide for medical care”. The HSE said that one of the elements of the renewal process where cards on discretion are concerned is to request an up to date medical report. “This is done in good faith, and should not be interpreted as asking a client to reconfirm that he/she still has a permanent or long term chronic condition,” they said. Speaking about all medical cards, not just discretionary, the Department of Health said there is no “cull” of medical cards. They said the change in the number of existing medical cards is purely “dependent on the extent of ineligibility detected”. Email “Number of discretionary medical cards falls by over 16,000 ”. Feedback on “Number of discretionary medical cards falls by over 16,000 ”.